At long last, the summer holidays are here. I’ve waved a fond farewell to the school runs for six weeks and now is the time to make the most of the time together. My house is going to pull off that ‘lived in’ look for the next few weeks whilst the children are home. Not just as they make a mess but because it’s the summer holidays, the chores can wait whilst there is fun to be had. With a bucket list of activities we want to do, places to go and friends to catch up with the summer is going to be a busy one. Roo and Tigger both have summer scrapbooks from school to complete over the holidays and whilst they will be collecting ticket stumps, leaflets, and treasures from our adventures. I want to be able to look back at our summer holidays and remember all the fun things that we have achieved – even if the British weather doesn’t play ball. Something we started a couple of years ago was sending postcards to family and friends whenever we were away visiting a theme park etc. At the same time, we would write one for ourselves and sent it home. Whilst this is a fun idea, it can work out costly, plus what happens to those postcards after a few or two? Plus what about the places you go that you can’t buy a postcard for? That visit or activity may well be forgotten about as there is no record of it. This year we have had a new idea on how we can keep our holiday moments alive. Instead of purchasing and sending a postcard home, we are taking snapshots of the places we visit, the activities we complete and the people we meet. So that we can create a #HolidayMoments photo book via Truprint to record and remember our summer holiday. Take a snapshot of the place, activity or play date you are doing that day. You can choose to have everyone in the photo, just one or two of you or even just a scenery shot of where you were. Either download the Truprint app onto your phone or access the site via your computer. Create a #HolidayMoments album and start uploading your snapshots. You can do this daily, weekly or at the end of the summer. Take a look at the photo books available from Truprint and see which design works best for you. There are some great designs to choose from, including a travel one which has funky background images to spruce up your photos. Add your images to the photo book. You can opt to include some text alongside them to record a memory or just the place name of where you were visiting. 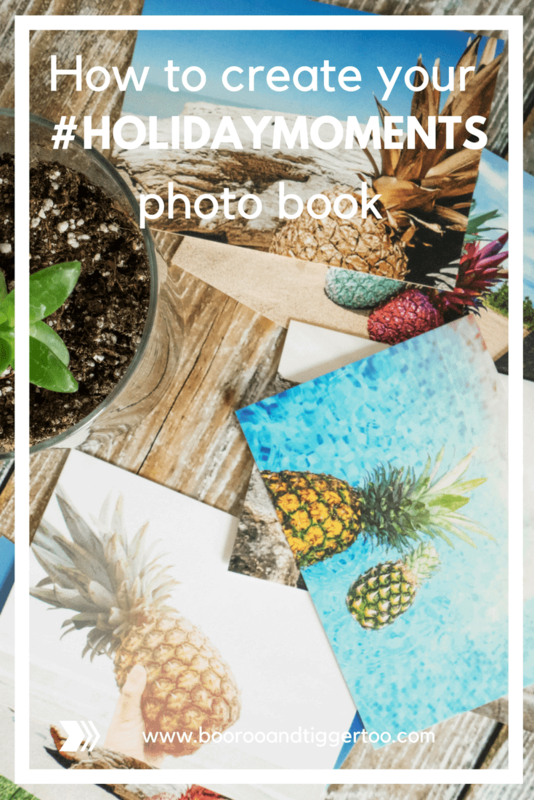 Place your order and wait for your #HolidayMoments photo book to be delivered so you can remember your summer fun for years to come. Photo Credit: Pineapple Supply Co. It takes us ages to print off holiday snaps, so this is such a great idea! I love the idea of a holiday moments photo book. You could even have a pocket at the back to keep other mementos like entry tickets, maps etc from days out to make it like a scrapbook. Brilliant! What a lovely idea. I would like to create holiday moments with the kids this summer. That sounds like a lovely way to remember the holidays and the memories you make. I might look into doing something similar for our forthcoming trip away!